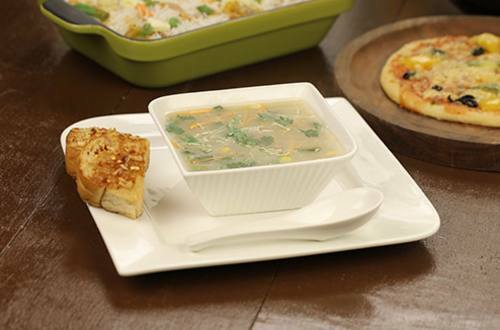 Leafy and juicy cabbage soup to give a delicious crunch in every spoon. Served best with crispy pan fried bread. 1 Take 800 ml water in a pot and add the vegetables. Cook for a few minutes. 2 Add Knorr Mix Veg Soup, stir well and boil the mixture. 3 Cover the pot and simmer till the vegetables are tender. 4 Add a pinch of black pepper and garnish with coriander leaves. 5 Enjoy the hot beverage to your heart’s content!